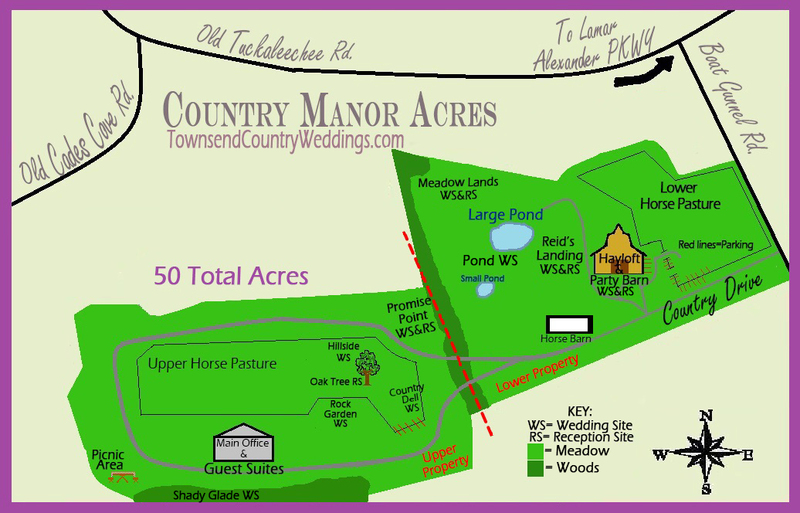 *A pristine and lush, verdant carpet of several acres of level meadowland surrounded with trees and a pond with Weeping Willow tree on three sides, and mountain views on the fourth side is large enough for both ceremony and tented receptions or other events to accommodate up to 500 guests, including adequate parking. 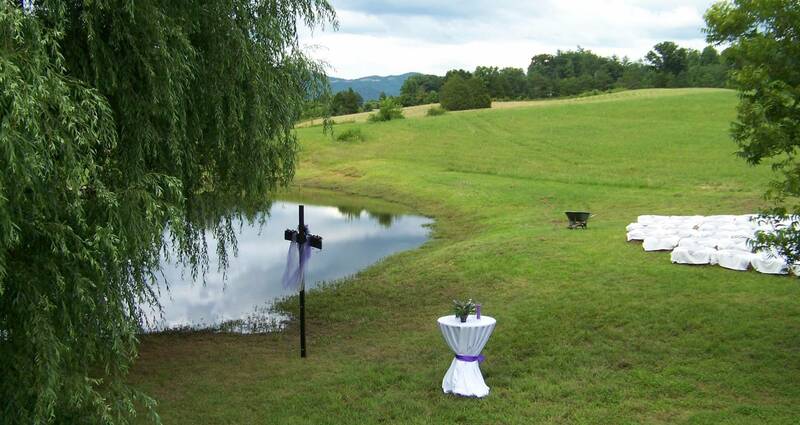 *The pond is not only a great ceremony site, with the mature Weeping Willow tree for the back drop, but the site works well as a tented site for receptions for up to 120 or so guests. 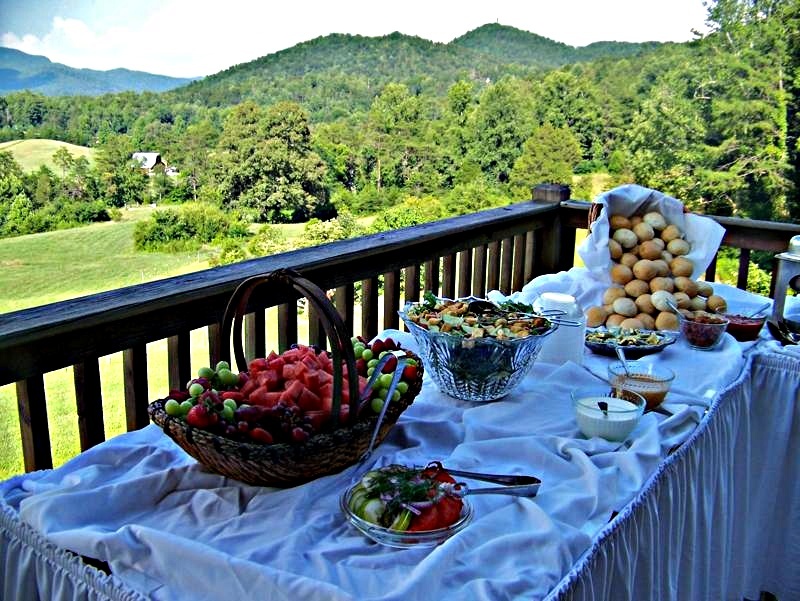 *A large, elevated plateau is called “Reid’s landing” because – for his birthday, we rented a helicopter that landed on the hillside for Reid to take pictures of his property. 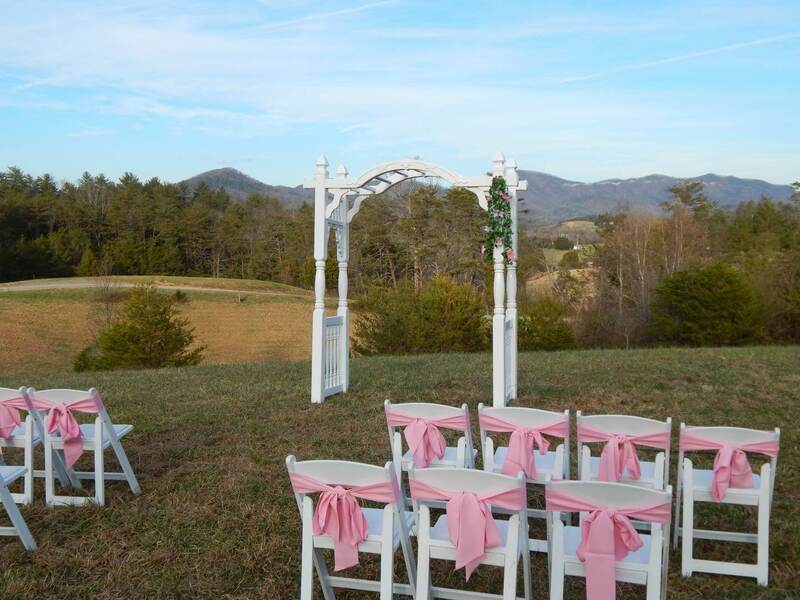 The plateau is a 185 feet long, level hillside with a 360 degree view of mountains and lush meadows and fields, and it is large enough for ceremony and tented reception for up to 300 guests. 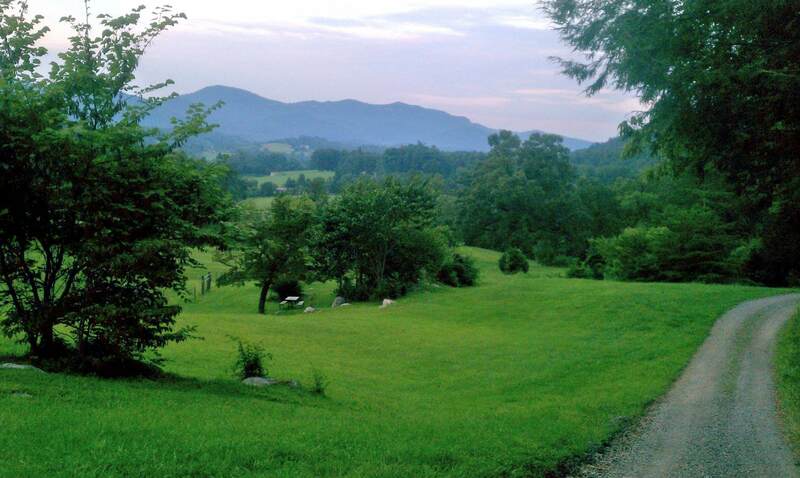 *The Appalachian Party Barn completes the current list of sites on the lower property. 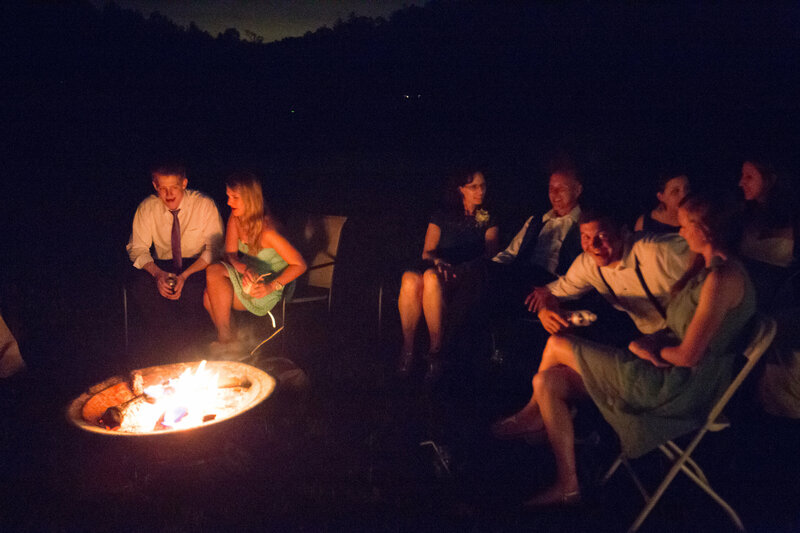 It is filled with desirable amenities for receptions, including chandekiers, s, heat and air conditioning, restrooms, lodging, and space to add a tent to accommodate groups up to 200 or more guests, with adequate parking. 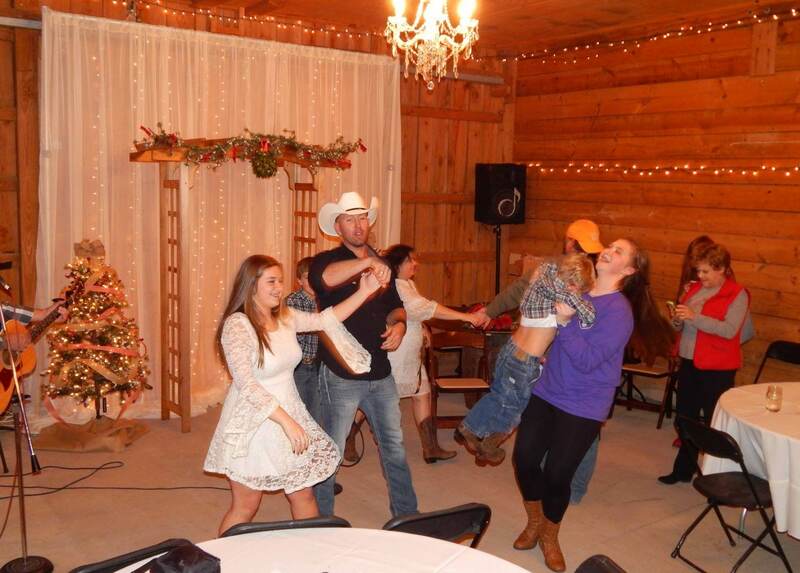 It is our hallmark site that boasts country chick image of Country Manor Acres. The white drapes and lights brighten the barn for winter when the doors are closed. 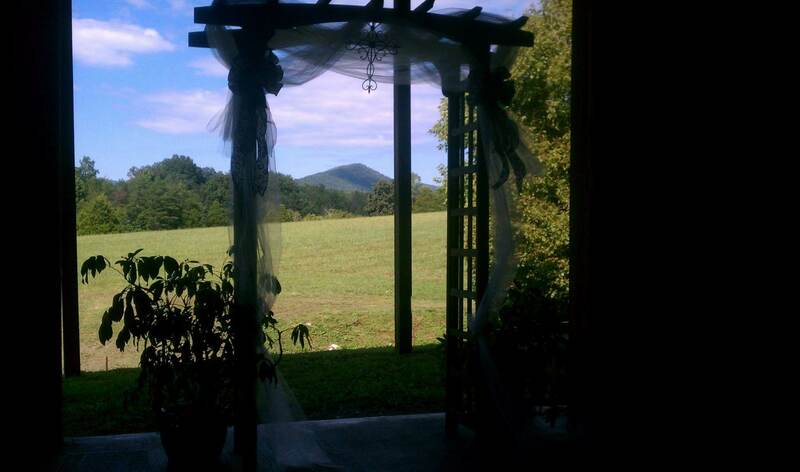 In the summer when the doors are open, the same mountain create a scenic backdrop for either ceremony or reception. views of the entire property. 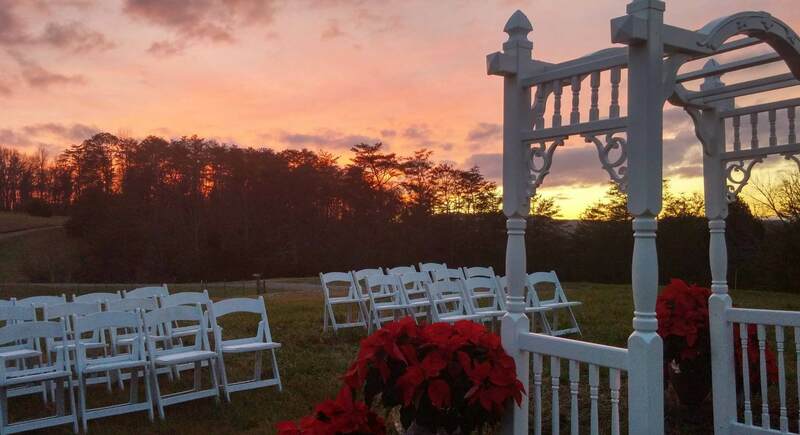 *This field is flanked by three additional ceremonial sites including our landscaped rock garden, an intimate gem of a site for smaller wedding ceremonies for up to 60 guests and overlooking the mountains. 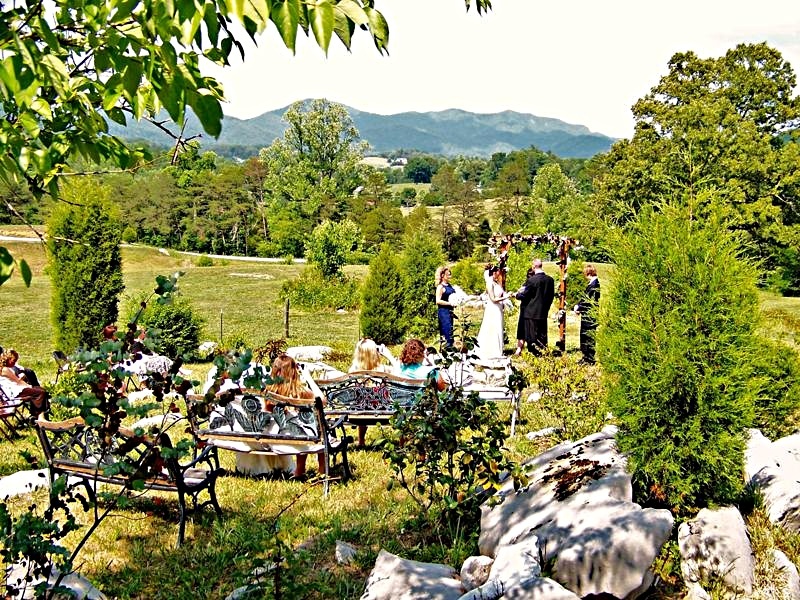 The huge old Oak Tree is a great spot for either ceremony or reception, overlooking the beautiful mountain views. And the Oak Tree has a lighted tree trunk to enjoy in the evenings. 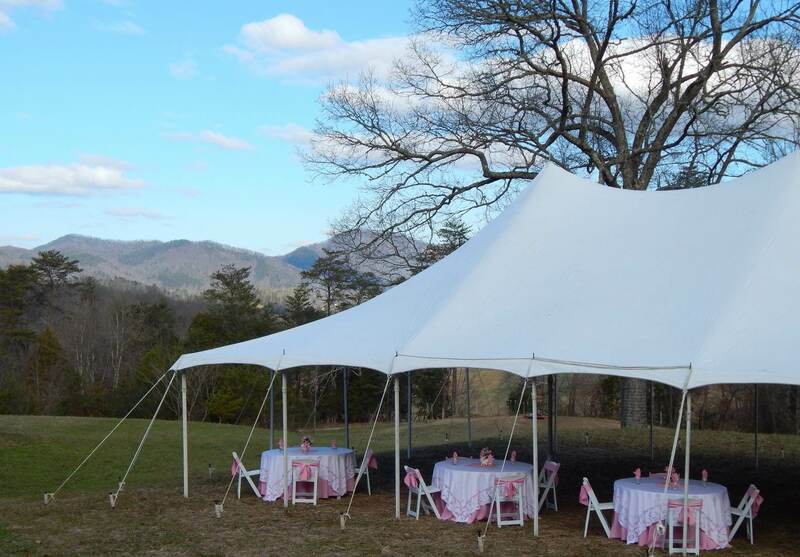 It is large enough to accommodate a tent to seat 150 guests for a reception. 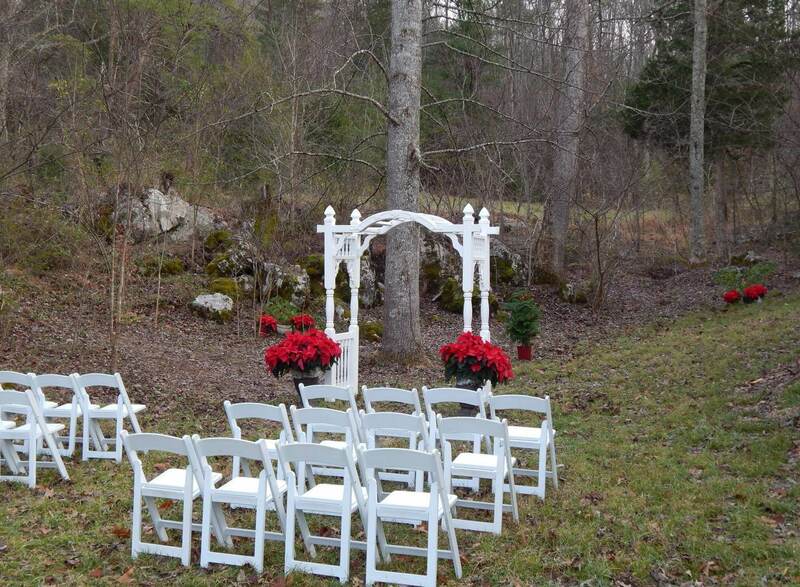 *There is also a level hillside just beside the Oak Tree that is perfect for a ceremony of perhaps 250 or a reception for 150 to 200 guests. 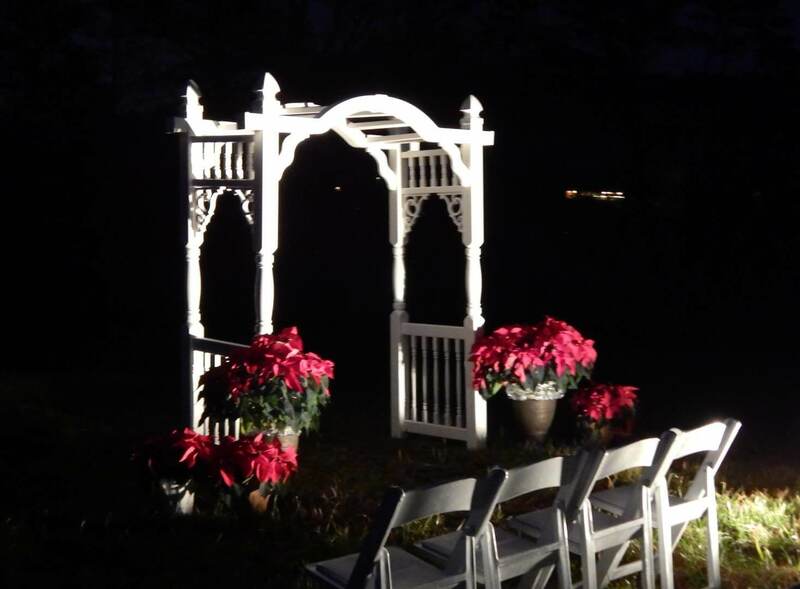 *The other side of the field, is our Country Dell that provides a shaded cove surrounded by lush trees and unique trails, for ceremonies of up to 120 guests. *Promise Point is a small and level mesa, level with the road on one side but overlooking the mountains on the other side. 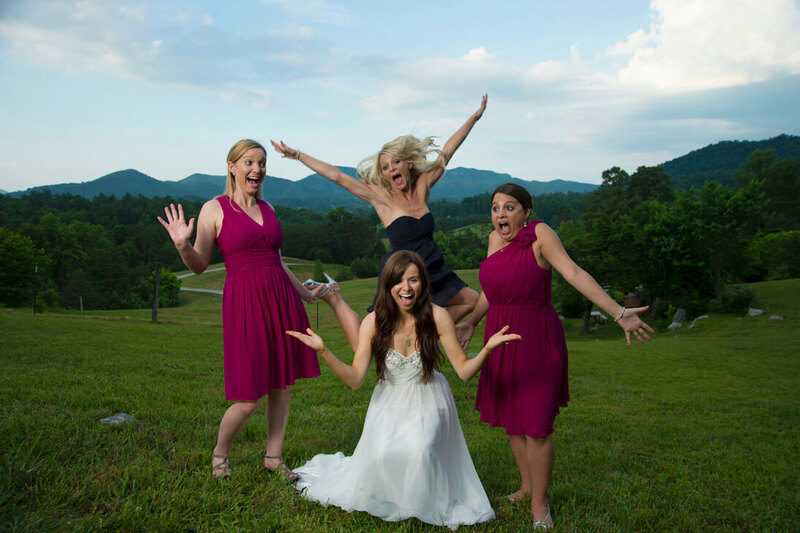 It is perfect for both ceremony of 150 guests or a reception of up to 120, with adequate parking. 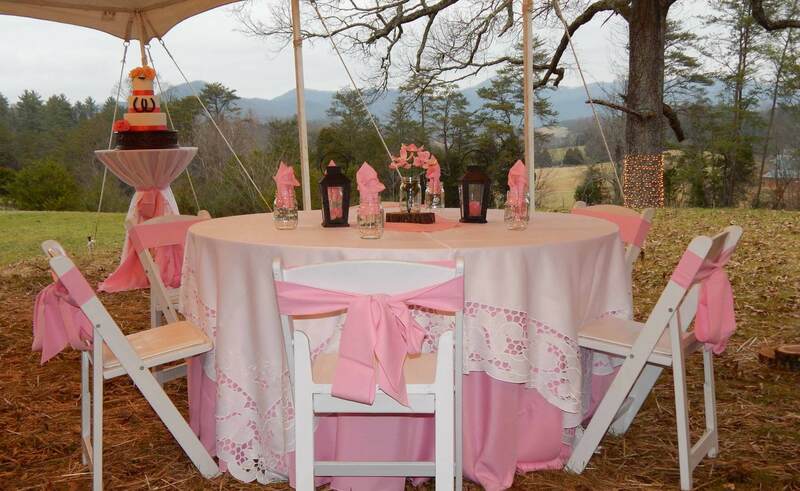 We include the 30 x 45 or 40 x 40′ tent and generator at no additional charge. *A wooded trail through the forest behind the Country Manor Inn leads to a small, shady glade we cleared within a stand of trees. 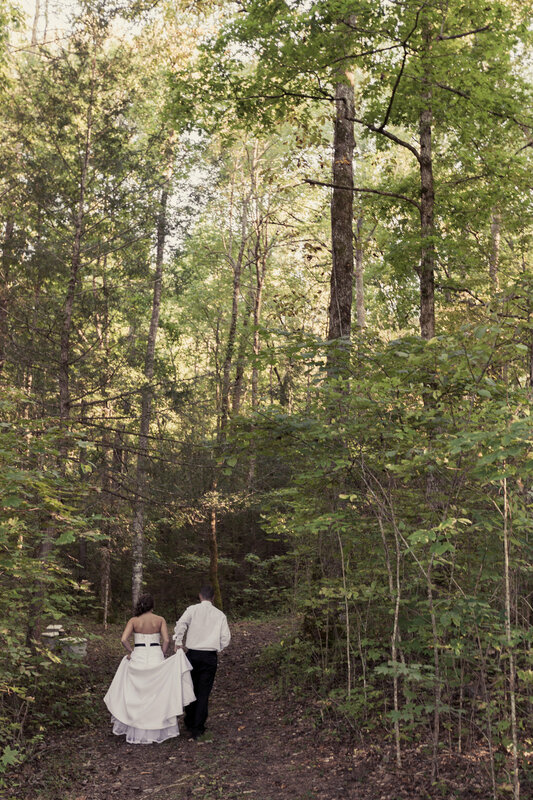 The clearing is shady and just large enough for our white arbor decorated with colorful flowers, a couple of white, concrete benches, the couple, minister and photographer for our elopement weddings for two.